What does Debt Free Mean? 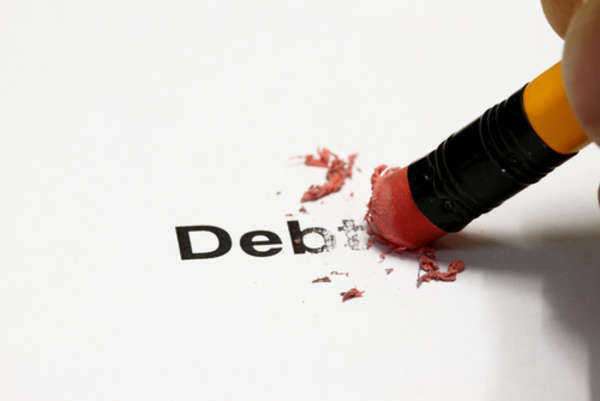 As the name suggests, “debt free” refers to a consumer or borrower with no outstanding debts. An individual who is considered “debt free” is not susceptible to interest rates, outstanding balances or monthly payments—all of the individual’s repayment plans have been satisfied in full. Debt free denotes the fulfillment of all loans and credit card payments. Debt free consumers have fully paid-off all installment loans, real estate loans and secured lines of credit. The majority of individuals—given correlating credit length, balance and history—will have a perfect credit score. Although debt free, as a term, signifies a consumer with no debt, it is not an absolute definition. An individual may be considered debt free if they pay-off their monthly bills in full. In this scenario, the consumer has recurring debts; however, they are satisfied—in full-each payment period. This pay-off strategy reduces the individual’s debt to credit ratio, to the point where it is 100% credit vs. 0% debt, thus making them debt free. How do I Become Debt Free? Although being debt free is desirable, it is not the case for the majority of Americans. Because of the economic downturn, the majority of American households are in debt—the United States Federal Government estimates that the average American household faces approximately $18,000 worth of debt. Because the obtainment of debt is a common financial maneuver, the first step to becoming debt free is to analyze your debt portfolio. If your debt suffocates your ability to meet monthly payments or to purchase necessities, you must admit you have a problem. Admitting to over-spending or an over-exposure of debt will enable you to secure a debt free portfolio in the future. If you have unpaid bills or are receiving calls from creditors you must seek help—these problems will accelerate if they are not taken care of. To seek professional aid, you must contact all credit counselors or debt relief companies in your area. These institutions will contact your creditors to secure lower rates or consolidate your debts into a single monthly payment. If you wish to reduce your outstanding balance and can’t make monthly payments, you should enroll in a settlement program provided by these professionals. If consolidation is chosen, the professional counselor will contact each of your creditors to negotiate a lower repayment amount. These negotiations are typically enacted with your creditor’s corresponding collection agency. In addition to paid professional help, these companies will offer a no-obligation free advice session, where a licensed professional will develop a stringent budget for your particular debt profile. After you have received this advice or have initiated a consolidation plan, you must meet the obligations outlined in your monthly payment agreement. The payments are sent to your consolidation company or professional counselor—the institution will then distribute your payment amongst your creditors as agreed upon. If you continue to make payments and do not incur any more debt, you will be considered debt free in approximately 2-5 years.